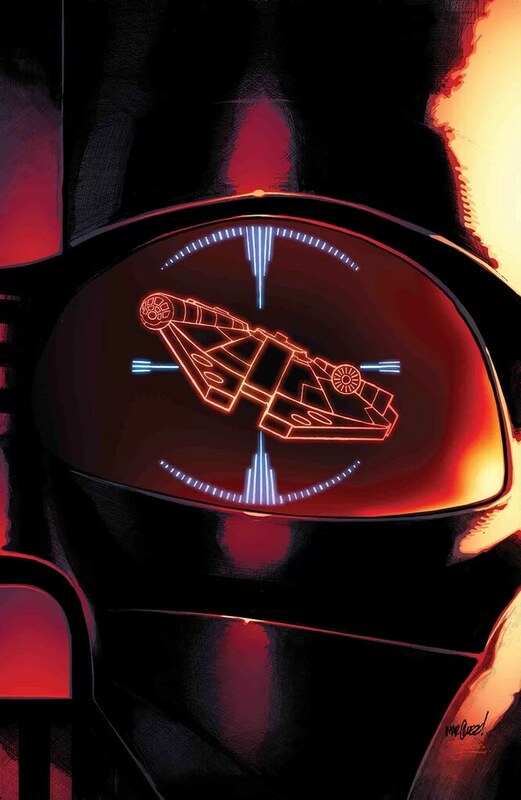 Star Wars #52 may have a bit of a lackluster cover, but it has a pretty good ending. Han and Darth Vader battle it out in space to see who is the better pilot, all the while the Rebels are desperate to get information to each other. Once the information finally makes it, Luke and his squadron are off, and a bit of history is laid out. So when you put Darth Vader up against Han Solo in a piloting contest, you would think Darth Vader would have the advantage. Star Wars #52 keeps that margin pretty slim as Han not only evades death, but also gets a message through to the Rebels so they can get back into the fight. Perhaps it lessens the prestige of Vader, but Han is certainly reckless with his maneuvers, so it’s almost believable. This all leads to the second phase of the story with Luke. He once again name drops Jyn Erso, which seems a little out of place and forced, but it soon becomes evident why this whole Jyn storyplot is being seeded. When Luke and the other fighters break out into the fight, Wedge asks Luke what they’re call sign should be. It’s then that Luke decides to honor Jyn by calling themselves Rogue Squadron. It’s a pretty nice tie-in and a good way to explain where that call sign came from and how it came to be. Regardless, the Rebels still have to defeat all the Imperials who still have the advantage. On top of that, what will the story implications be with the fallout, and where will things go next? As is, Kieron Gillen laid out a pretty good story in Star Wars #52, and with some great artwork and coloring by Salvador Larroca and Guru-eFX, it makes for a great issue. I give it a five out of five metal bikinis.